Words of great poetry lend to music the vision, intelligibility, and vulnerability of the poet’s voice. Music teases out the essence of the poetic utterance and acts like a semantic spotlight, representing the deep grammar’s rhythm and emotional arc. I wanted to get outside of those little boxes of the pop song – verse, chorus, verse, chorus – and write music that develops in a more fractal and organic way. That search drew me to motivic classical composition – each unfolding line is a journey of discovery. Sometimes the result sounds familiar, sometimes more fantastic and meandering, and the difference is often inspired by the text. I think that was my other goal – to give the text a primary place. We often tune out the words of songs that we hear in more casual environments and repetitive forms. Art-song is about the alchemy where text and music really fuse into a single lyrical utterance. 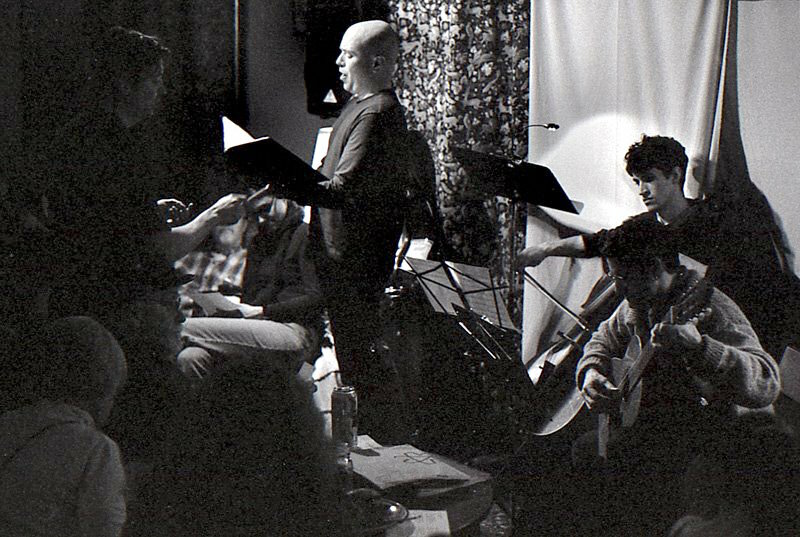 Cult of Orpheus art-song concerts feature a variety of voices, chamber instruments, and poetic inspiration. Printed scores are available, and new recordings are in the works. Commissions for singers and vocal ensembles are also welcome – contact music (at) cultoforpheus.org for more information.